Fireworks Nails - Be Glossy In and Out! This is my favorite evening manicure. As you already know I adore the Barry M glitters and I believe they are the best from European market. In my opinion this Barry M Yellow Topaz Glitter suits the best on the L`Oreal Black Swan base and it looks like fireworks. What you think about my Firework Nails? Did you try the Barry M glitters or any other of their products so far? wow those nails are amazing darling! 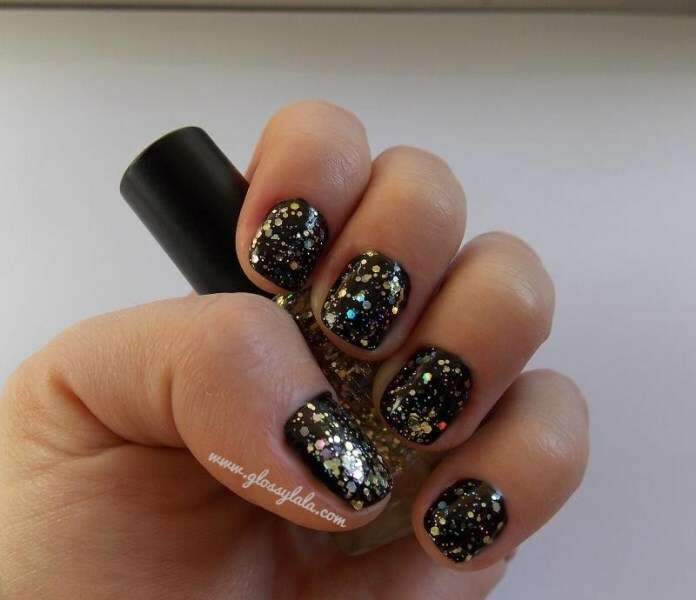 black and glitter polish in combination are the best!